I was at the grocery store and looking at the fruits display. There I can see common fruits such as apples, green or red, big and small. It was common so I decided to look for more on the other end of the fruit stand. A yellow fruit attracted my iris, so I went nearer to it. 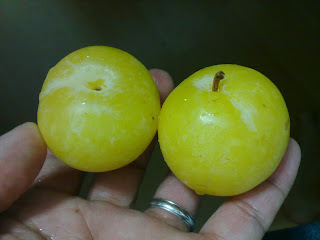 It has a unique name "South Africa Yellow Plum". So, I decided to take 1 pack, which has about 10 pieces of it. The price is SGD2.15 for a 500g pack. Not that bad at all. I went home and washed two of the plums and stared at it while holding it on my hands...looked at the nice yellow, almost neon-colored fruit. This is my first time to see this. Then my mouth just opened from the look of it and took a half bite. My face started to crumple as the sour taste crawled down to my tongue. I took another bite and the sweetness of it came after. The fruit is not that ripe, I thought. 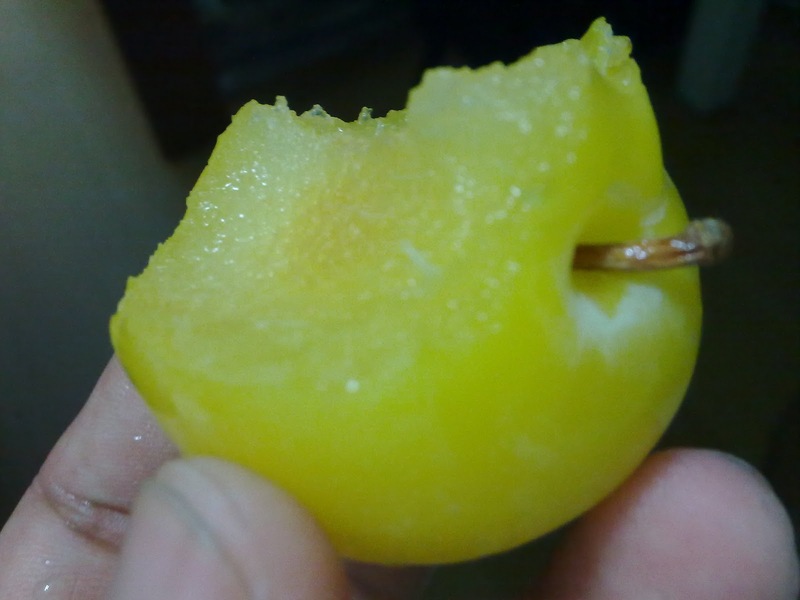 Then the second fruit was waiting and thought I could give it a chance to be eaten. The first bite on the second fruit was totally different. The sweetness of the plum was overwhelming. 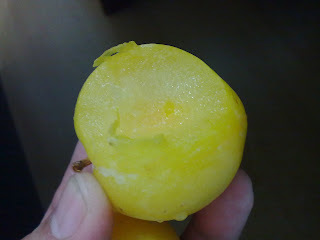 I got the ripe "South African Yellow Plum"...the juice is just right.